Neenah Classic Crest 80 LB SMOOTH SOLAR WHITE Paper Pack 40 Sheets NH80LB40 at Simon Says STAMP! NH80LB40 /11.6 This item is on reserve until If you would like to reserve this item now, you may purchase it now with the rest of your order. We will hold your order now and ship your entire order as soon as this item is back into stock. If you would like your order to ship now, please place this item on a separate order. Success, Neenah Classic Crest 80 LB SMOOTH SOLAR WHITE Paper Pack 40 Sheets NH80LB40 has been shared! Beautiful, high quality designer paper. For more than 100 years, Neenah NYSE: NP has been an innovative leader in the creation and manufacturing of premium, specialty and sustainable papers used for premium writing, text, cover, digital and specialty needs. 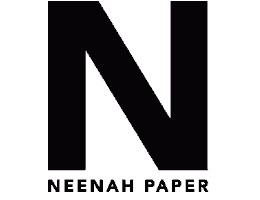 Headquartered near Atlanta, GA, Neenah Paper is entirely focused on the premium paper market. Neenah is committed to producing only superior quality products and developing new technologies that meet the needs of designers, consumers, printers and merchants and ensure that paper remains a vital and vibrant medium of expression.